Hi everyone! Hope you’re all safe!! I was hoping Mr. Sun would finally show up today but still no sign here in my area. 🙁 Let’s all hope he finally shows up later! 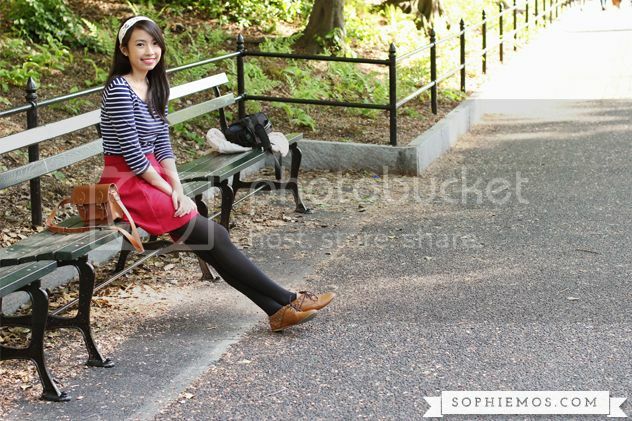 This backlog outfit post makes me miss clear skies & sunny happy weather! 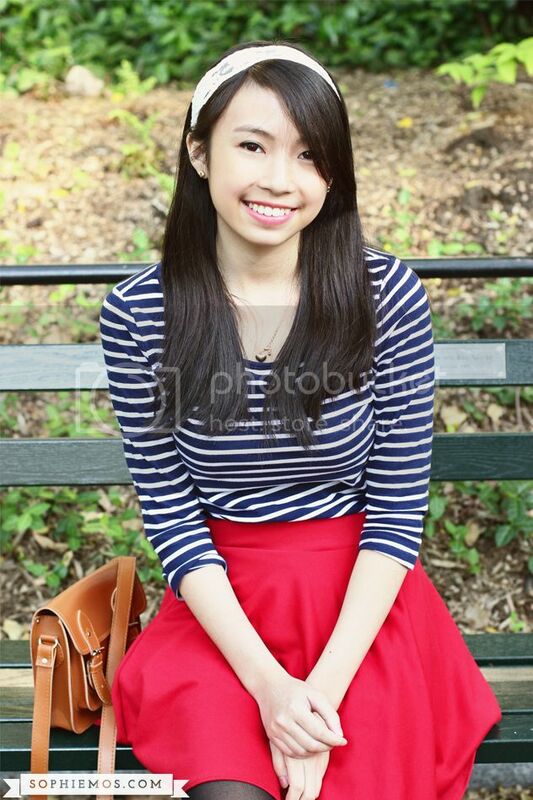 This was taken last summer at my favorite city, New York! 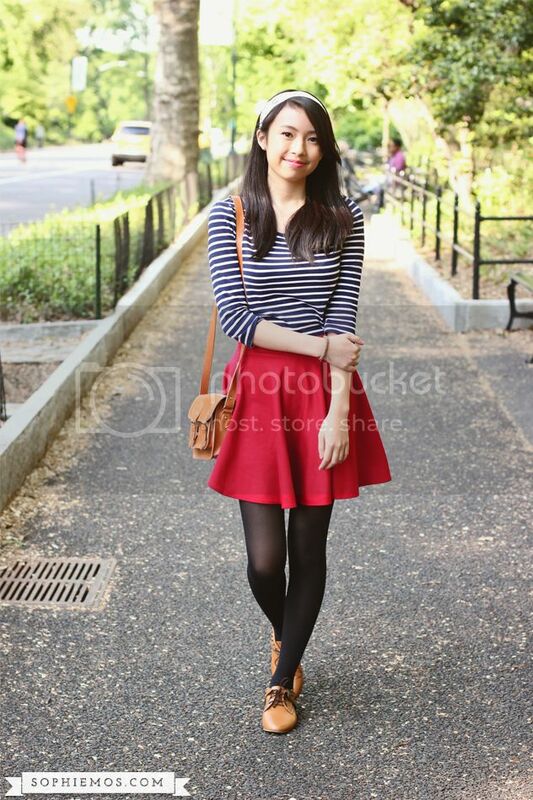 <3 Read on to know more about my look. If you plan on going to New York #oneday, Central Park is one place you must visit! It’s a reallly huuuuuge beautiful park where you can chill, relax, and appreciate the green scenery amidst the concrete jungle and the hustle and bustle of the city. I’ve always been a fan of stripes and it’s one trend I will never get sick off ever! 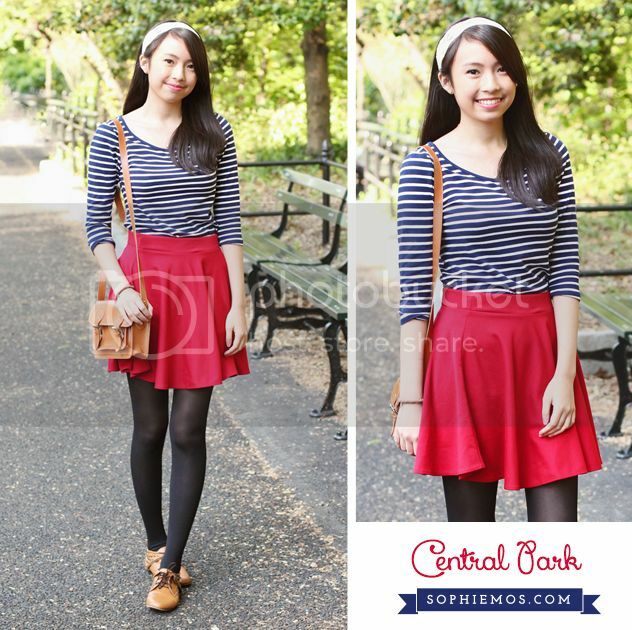 I decided to match my (very much abused) basic striped tee with this skater skirt (such a gorgeous shade of red!). Also, seized the opportunity to wear my tights + boots combo which I can’t really wear back home! Wish we had more clean and safe parks here! Hmm should I wear headbands more often? What do you think about my look? Comments are loved!